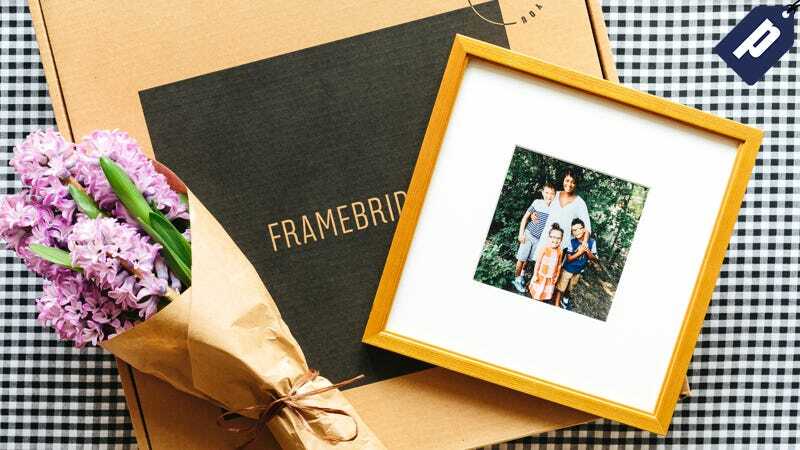 Place an order in five minutes with Framebridge while making a lasting gift this Mother’s Day. Upload or send in the piece you want framed (they’ll send pre-paid packaging), choose the size, frame style, and send it off. Take 15% off with promo code JEZEBEL. Framebridge’s simplified ordering process lets you place an order in five minutes then have it framed and shipped directly to you or your loved ones. With 15% off, frames start at just $39 (5"x 5") and are available in Instagram Mini, Extra Small, Small, Medium, Large, and Extra Large sizes. Plus, Framebridge offers physical & e-gift cards for undecided or last-minute gifters. Send the lasting gift of a quality framed memory with Framebridge. Receive 15% off your first order at checkout with code JEZEBEL.